Wednesday, March 2, 1904. : Children's author, Dr Seuss, is born. Theodor Seuss Geisel, aka Dr Seuss, was born on 2 March 1904 in Springfield, Massachusetts, USA. As a young boy, he enjoyed drawing, but his teachers discouraged him from planning to make a living from it, telling him he lacked talent. Geisel attended Dartmouth College, where he studied writing. Again, he was discouraged from making a career out of it. He graduated from Dartmouth College in 1925, after being voted "Least likely to succeed" by his college class. He then entered Lincoln College, Oxford, intending to earn a doctorate in literature. However, he met his future wife there, married her in 1927 and returned to the USA. Geisel continued writing stories humorous articles, accompanied by strange illustrations, submitting them to a variety of magazines. Of the 27 publishers to whom he sent his work, 27 turned him down. Finally, the 28th publisher accepted his work, and after six months, he began signing his work as "Dr Seuss". Dr Seuss began writing children's books before WWII, but much of his time was spent drawing to support the US government's war effort. He initially drew posters for the Treasury Department and the War Production Board. In 1943, he joined the Army and was sent to Frank Capra's Signal Corps Unit in Hollywood, where he wrote films for the US Armed Forces, including "Your Job in Germany," a 1945 propaganda film about peace in Europe after World War II, "Design for Death," a study of Japanese culture that won the Academy Award for Best Documentary in 1948, and the Private Snafu series of army training films. While in the Army he was awarded the Legion of Merit. After the war, Dr Seuss returned to writing children's books. After reading a report on declining literacy levels among children, he endeavoured to make his books quirky and appealing. 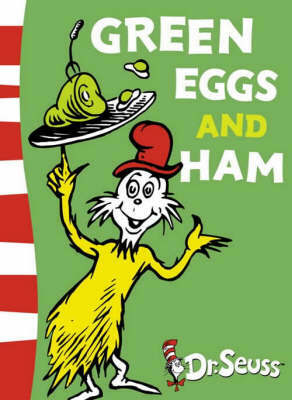 Such books as "The Cat in the Hat" and "Green Eggs and Ham" remain very popular today. Seuss died on 24 September 1991. Barnsley finished the season with 62 points. Inventor of the telephone, Alexander Graham Bell, was born in Edinburgh, Scotland, on 3 March 1847. 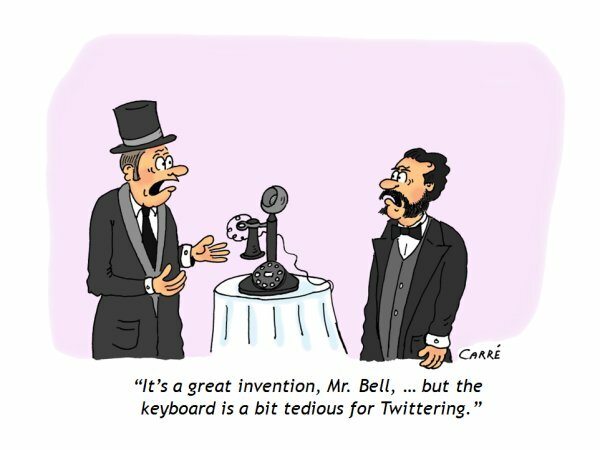 It was whilst living in Canada, from 1870, that Bell pursued his interest in telephony and communications. He moved to the US shortly afterwards to continue developing his inventions. On 7 March 1876, he was granted US Patent Number 174,465 for "the method of, and apparatus for, transmitting vocal or other sounds telegraphically ... by causing electrical undulations, similar in form to the vibrations of the air accompanying the said vocal or other sound", i.e. the telephone. Bell and others formed the Bell Telephone Company in July 1877. He also collaborated with other inventors to produce such items as the phonograph, photophone (a device enabling the transmission of sound over a beam of light), metal detector and hydrofoil. Bell died on 2 August 1922, and two days later, his death was marked by a minute's silence from the ringing of telephones all over his adopted country. 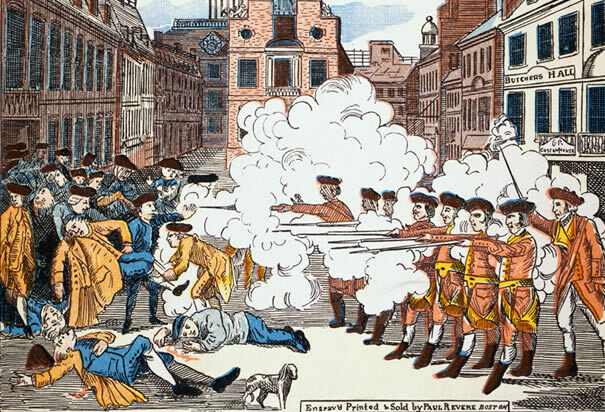 Monday, March 5, 1770. : The Boston Massacre occurs, as British troops fire on American demonstrators. The Boston Massacre of 1770 was a catalyst to the American Revolution several years later. The incident grew out of the resentment felt by the Americans against the British troops sent to maintain law and order in the colony. There was a tendency for groups of young men to taunt the troops until finally, on 5 March 1770, the troops fired into a rioting crowd. Three Americans were killed immediately, and two more died later from their wounds. British captain Thomas Preston and his men were tried for murder: Preston and six of his men were acquitted, whilst two others were found guilty of manslaughter, punished, and released. The pressure that resulted from the "massacre" caused Lieutenant Governor Thomas Hutchinson to withdraw the troops to an island in the harbour. Whilst this temporarily eased the tensions, it also highlighted the fact that the British were unwelcome, and unable to maintain the law and order they were supposedly there to protect. The incident laid the foundation for Americans to fight for their independence against British rule. Michelangelo was born Michelangelo di Lodovico Buonarroti Simoni on 6 March 1475 near Tuscany, Italy. Young Michelangelo was raised in Florence and later lived with a sculptor and his wife in the town of Settignano where his father owned a marble quarry and a small farm. Initially studying in linguistics, Michelangelo went against his father's wishes and took up an apprenticeship in painting with Domenico Ghirlandaio and in sculpture with Bertoldo di Giovanni. Ghirlandaio was so impressed with his young protege that he recommended him to Lorenzo de' Medici, the ruler of the Florentine republic and a great patron of the arts. After demonstrating his mastery of sculpture in such works as the Pietý (1498) and David (1504), he was commissioned by Pope Julius II della Rovere in 1508 to paint the ceiling of the Sistine Chapel, the chief consecrated space in the Vatican. Michelangelo spent four years painting the epic ceiling frescoes, depicting detailed Biblical scenes. There are nine panels devoted to biblical world history, the most famous of which is The Creation of Adam, a painting in which the arms of God and Adam are stretching toward each other. 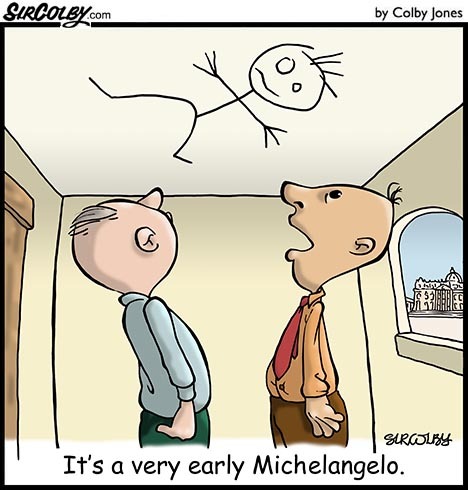 Michelangelo's frescoes on the vaulted ceiling of the Sistine Chapel in Rome were first shown to the public on 1 November 1512. Other famous frescoes of Michelangelo include The Last Judgment on the altar wall of the Sistine Chapel. Michelangelo was also a skilled architect, designing the Dome of St Peter's Basilica in the Vatican, the Laurentian Library in Florence at the church of San Lorenzo, transforming the Campidoglio and completing the Palazzo Farnese, considered the most beautiful palace of Rome, after the death of its previous designer, Antonio da Sangallo the Younger. Michelangelo died on 18 February 1564, aged 88. Thursday, March 7, 1996. : The first photographs of Pluto's surface are released. For many years, Pluto was considered to be the ninth planet in the solar system, named after the Roman god of the underworld, Pluto. Recently, its status has been downgraded to that of a minor planet. Its largest moon is Charon, discovered in 1978, and two smaller moons, Nix and Hydra, were discovered in 2005. It remains the only planet that has not been visited by human spacecraft, and knowledge of Pluto is limited due to the fact that it is too far away for in-depth investigations with telescopes from earth. Pluto remained undiscovered until the twentieth century due to its small size, being smaller than the Earth's moon, and its unusual orbit. It was determined to be a planet on 18 February 1930 by astronomer Clyde Tombaugh at the Lowell Observatory in Arizona. However, Pluto has since been reclassified as a "planetoid" and is now considered the largest member of the Kuiper belt. Like other members of the belt, it is composed primarily of rock and ice and is relatively small: approximately a fifth the mass of the Earth's moon and a third its volume. On 7 March 1996, the first photographs of Pluto's surface were released. Astronomers had actually constructed a global map of Pluto in 1994 by taking 12 images at 4 different longitudes in visible light and 8 images in ultraviolet light. The photographs showed clear topographic features such as craters, a northern polar cap bisected by a dark strip, one bright spot and a cluster of dark spots. Fascinating, I've got a soft spot for Pluto!! Wednesday, March 8, 1702. : William III of England, also known as William of Orange, dies after being thrown from his horse. William III of England was born on 14 November 1650, in The Hague, Netherlands. He became the Sovereign Prince of Orange at his birth because his father died of smallpox eight days before he was born. Known by many titles including William III of England, William II of Scotland and William of Orange, he was King of England and Ireland from 13 February 1689, and King of Scotland from 11 April 1689. As a Protestant, William participated in many wars against the powerful Roman Catholic King of France, Louis XIV. After James II of England ascended the throne in 1685, the English feared that the king’s policies were directed too much towards restoring the power of the Roman Catholic church. In June 1688, a group of political figures known as the "Immortal Seven" secretly invited William to bring an army of liberation to England. William and a force of about 15,000 men landed at southwest England on 5 November 1688. James, his support base dissolved, was allowed to escape to France, and William had no wish to make him a martyr for Roman Catholicism. Whilst the Scottish parliament accepted the new rulers, Ireland, being mostly Catholic, remained loyal to the deposed king and had to be taken by force. In 1690 William led the army that defeated James and his Irish partisans at the Battle of the Boyne, and members of Parliament accepted him in order to restore their own power. King William died on 8 March 1702, five days after a riding accident. 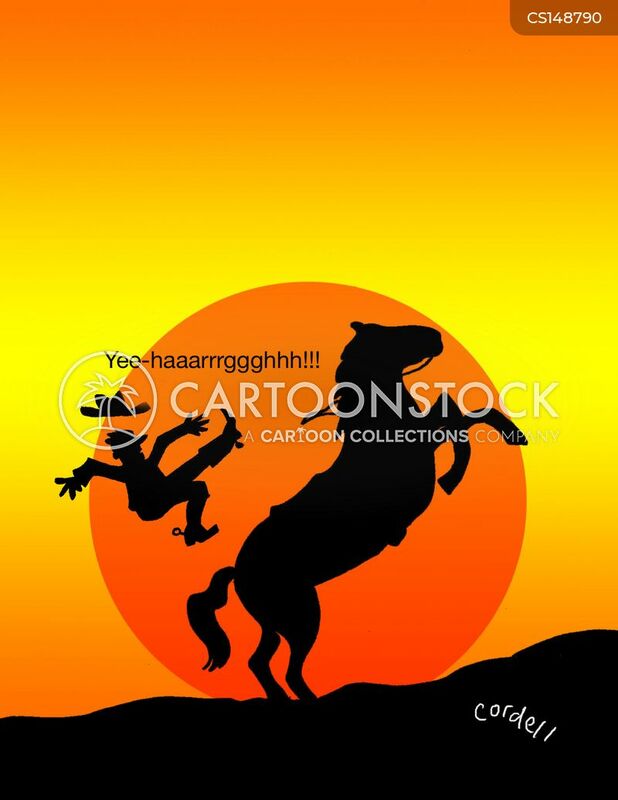 Whilst riding in the Park at Hampton Court, his horse stumbled on a molehill and the King was thrown. As he left no heirs, the crown passed to Anne, second daughter of King James II of England. 8th March, 2014 : Malaysian Airlines Flight MH370 went missing while flying from Kuala Lumpur to Beijing. The flight disappeared as it was passing between Malaysia and Vietnam. There were 227 people on board the plane and it gave no indication that it was in distress. The airplane was a Boeing 777 and there were weeks of searching for the missing plane and much confusion surrounded it as details and information was constantly changing. The wreck was never found and it was still unknown what happened on the flight (as of July 2014). Bluebird Recovered 8th March, 2001: The wreck of Donald Campbell's boat, Bluebird, has been raised from the bottom of Coniston Water in Cumbria. The wreck had been there since the attempt to break the world water speed record in 1967 in which killed Donald Campbell had died. TWA Plane Blown Up 8th March, 1972: On this day, a bomb was planted inside an unoccupied TWA Boeing 707 jet plane. This bomb went off at approximately 3:55 a.m., in the vicinity of the airplane’s cockpit. The bomb was planted aboard this plane in order to gain a 2 million-dollar ransom from the airline. At this time, it was a mystery how the bomb was planted, even though this passenger jet had been search thoroughly before arriving in Las Vegas from New York about a half a day beforehand. Dutch Surrender 8th March, 1942: This was the day of the Dutch surrender to the Japanese, which lead to the beginning of the end of Dutch power in the East Indies. The Dutch army had officially given in to the Japanese on the island of Java, and two months of fighting had come to an end. Friday, March 9, 1934. : The first person to travel in space, Yuri Gagarin, is born. Yuri Alekseyevich Gagarin was born on 9 March 1934 in Klushino near Gzhatsk, which was later renamed Gagarin in his honour. Flying light aircraft became a hobby for him until he entered military flight training at the Orenburg Pilot's School in 1955. In 1960 Gagarin was selected for the Soviet space program, where he was subjected to a punishing series of experiments designed to test his physical and psychological endurance, as well as training relating to the upcoming flight. He excelled in all areas, and his height of only 157cm made him an ideal choice as the first man to be launched into space. Gagarin launched in Vostok 3KA-2, or Vostok 1, on 12 April 1961. Soviet authorities did not expect him to survive the descent back through Earth's atmosphere, so in-flight, he was promoted from Senior Lieutenant to Major. Gagarin did survive, and he became an instant, worldwide celebrity, touring widely to promote the Soviet achievement. Gagarin died on 27 March 1968 when he was killed in a crash of a MiG-15 on a routine training flight near Kirzhach, together with his instructor. A 1986 inquest suggested that the turbulence from an Su-11 interceptor aeroplane using its afterburners may have caused Gagarin's plane to go out of control. Weather conditions were also poor at the time. Wednesday, March 9, 1870. : Granny Smith, who gave her name to the Granny Smith apple, dies. Granny Smith is a variety of apple with green skin and tart flesh, originating in Australia around 1865 from a chance seedling propagated by Maria Ann Smith, aka Granny Smith. 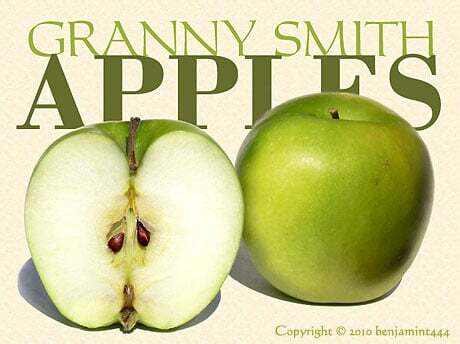 Granny Smith was born Maria Ann Sherwood in Peasmarsh, Sussex, England, sometime in late 1799. The daughter of an agricultural labourer, she later married a farm labourer. They emigrated to New South Wales in 1838 after being recruited by government agents looking for people with agricultural skills. They settled in the district of Ryde, Sydney, which was an intensive fruit growing area. The Granny Smith apple came about when 'Granny' Smith discovered a seedling apple, which had developed from the remains of some French crab apples grown in Tasmania, growing by a creek on her farm. It was not commercially developed in her lifetime, but the apple continued to be cultivated by local orchardists. Maria Ann Smith died on 9 March 1870 and was buried in St. Anne's cemetery, Ryde, where her headstone can still be seen. The year after her death, in the 1891 Castle Hill Agricultural and Horticultural Show, the 'Granny Smith seedlings', as they were known, were awarded the prize for the best cooking apples. Day will turn to night this week for millions of people, as the moon passes directly in front of the sun causing a total solar eclipse. On Wednesday 9 March, people in some parts of Australia and south-east Asia will be able to witness the event. It will also be visible in Hawaii, east of the international dateline, where it will still be Tuesday 8 March. For those further west or east in Europe and America, it will already be night, so the sun will not be visible. Monday, March 10, 1969. : The killer of Martin Luther King is sentenced to 99 years in prison. Martin Luther King Jr was born on 15 January 1929 in Atlanta, Georgia. He became a Baptist minister, and African American civil rights activist. In his fight for civil rights, he organised and led marches for desegregation, fair hiring, the right of African Americans to vote, and other basic civil rights. Most of these rights were successfully enacted later into United States law with the passage of the Civil Rights Act of 1964 and the Voting Rights Act of 1965. Martin Luther King's life was tragically cut short when he was shot in the neck by a rifle bullet in Memphis, Tennessee, on 4 April 1968. 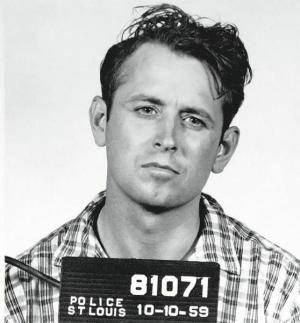 James Earl Ray, a man who harboured intense hatred of African-Americans, was convicted of his murder and, on 10 March 1969, was sentenced by a Memphis court to 99 years in prison. He pleaded guilty to the murder on the understanding that he would be put to death by the electric chair. Three days later, he retracted his plea of guilty, claiming he had been set up by a gun dealer in Montreal known only as Raoul. Until Ray's death on 23 April 1998, he fought for the trial his guilty plea had forestalled, even winning the support of Martin Luther King's own family. Saturday, March 11, 1871. : The springs after which Alice Springs, central Australia, was named are discovered. 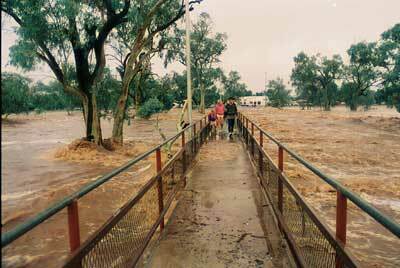 The city of Alice Springs is located 1524 km from Darwin and 293 km north of the South Australian border. It is the second largest city in the Northern Territory, with a population of over 25 000. In 1862, explorer John McDougall Stuart's third expedition succeeded in finding a route through the Centre of Australia to the north coast, navigating and mapping the country for white settlement. The construction of the Overland Telegraph Line from Adelaide to Darwin was completed in 1872, making it viable for pastoralists to take up leases in the Red Centre. The springs after which the town was named were discovered on 11 March 1871 by the team building the Overland Telegraph Line. They lie to the north-east of the town and were named after the wife of Charles Todd, the man instrumental in securing the construction of the Overland Telegraph Line for South Australia. Surveyors William Whitfield Mills and John Ross both claim credit for the discovery of the springs. Alice Springs was the name given to the telegraph repeater station which operated from 1872 to 1932. The actual town, originally surveyed in 1888, was 3km south of the telegraph station. Until the early 1930s, the official name of the town was Stuart. However, this created confusion for administrators in Adelaide, so on 31 August 1933 the township of Stuart was officially gazetted Alice Springs. That bit in the middle is the River Todd which only rarely has water in it. tonyp wrote: Saturday, March 11, 1871. : The springs after which Alice Springs, central Australia, was named are discovered.